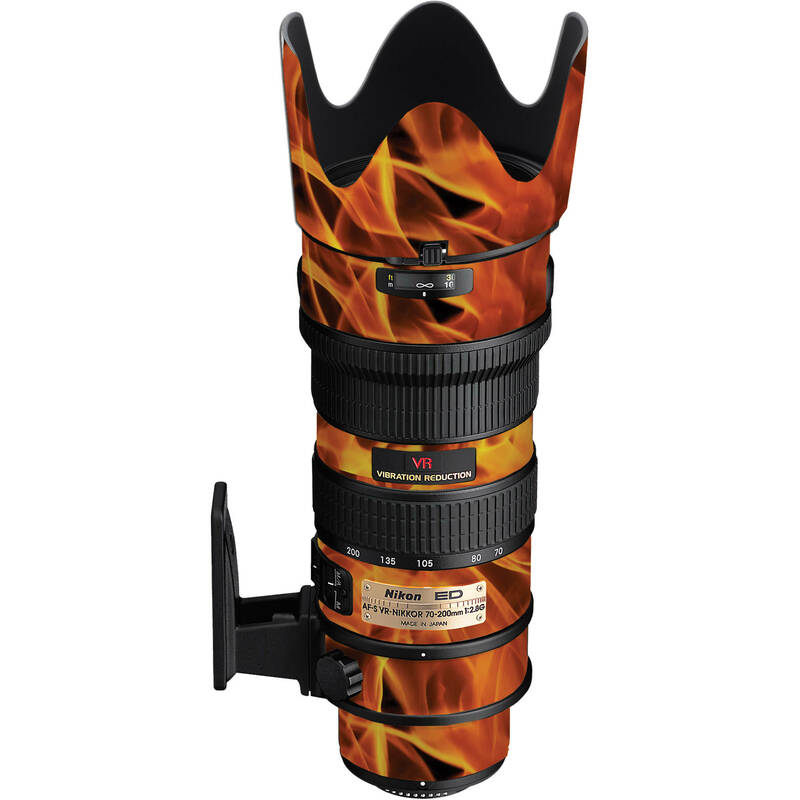 The Fire Lens Wrap for Nikon 70-200mm f/2.8G from LensSkins is an easy-to-apply way to add a 1mm scratch-protective coating to your lens. The thin vinyl covering is durable and residue-free if removed. Once applied, it fits the exact contour of your lens adding a stylish pattern to the appearance. When your LensSkin is applied, you'll still have full access to all the controls and windows on the lens. It's used purely for protection as well as adding a fashionable dimension to the lens. LensSkin is manufactured from a high-end, platinum grade 3M vinyl digital process that adds a bright, vibrant graphic touch to your lens. The Fire pattern is a vibrant red/orange design resembling a close-up of a burning log in a fireplace. Box Dimensions (LxWxH) 17.6 x 12.5 x 0.2"